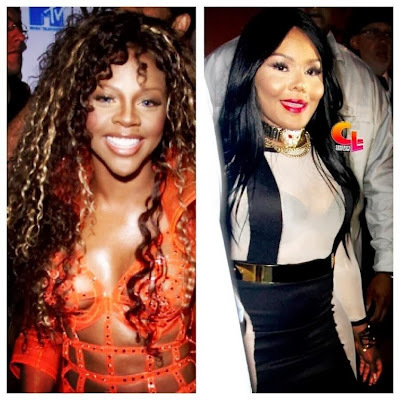 Rapper Lil' Kim has become well known for being a cosmetic chameleon, changing her appearance on numerous occasions during her time in the public eye. Its believed that she has undergone procedures including: breast implants, lip augmentation, and more than one nose job. 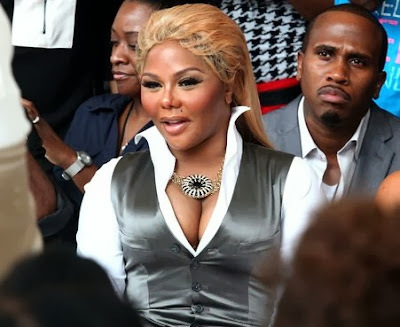 If you haven't been keeping up with Lil' Kim you may be surprised to see her newly unveiled 'look' at the Mercedes-Benz New York Fashion Week. Accompanied by her previous plastic surgery endeavors, the rapper is now sporting a much fuller face, more pronounced cheeks, and little movement in her facial expressions. Has the rap star been dabbling in another cosmetic crusade? Perhaps trying her luck with facial filler, botox, or other injectable fillers? We've seen this, time and time again, where an individual becomes 'hooked' on plastic surgery after just giving it a 'try.' Unfortunately it appears that Kim has fallen into this category of never ending self-alteration.